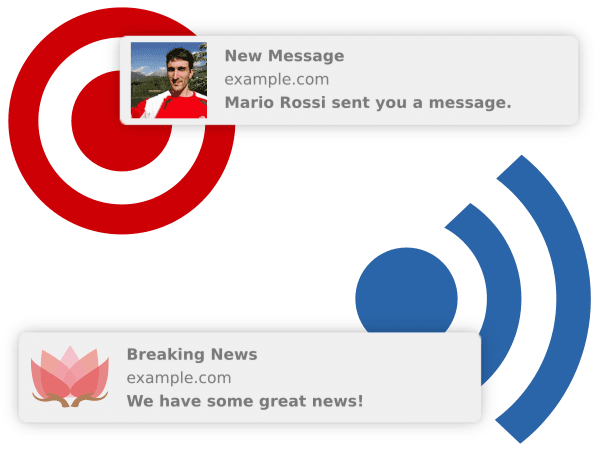 Pushpad is the easiest way to add push notifications to websites and web apps. We deliver millions of web push notifications daily. 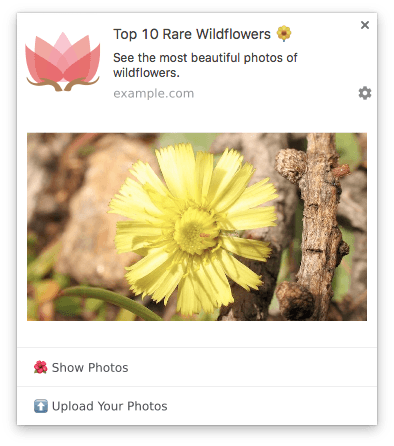 Websites and web apps can send push notifications. 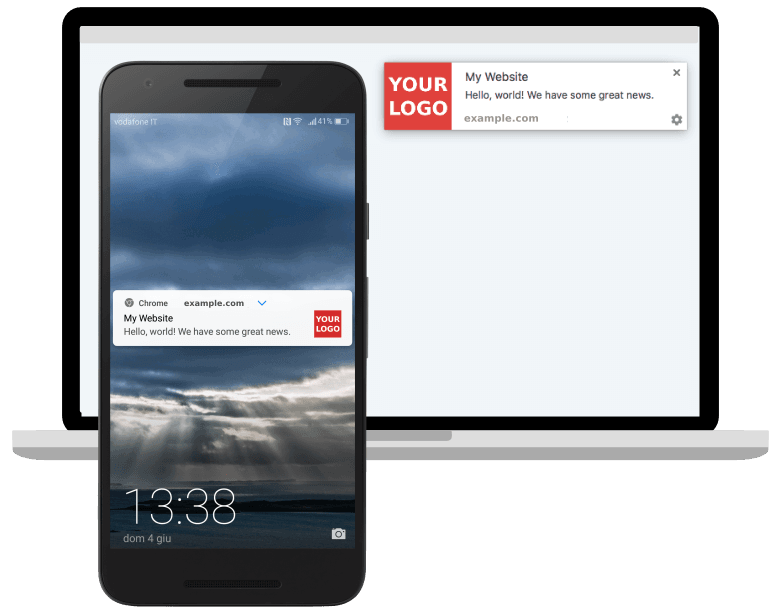 Web push notifications are delivered instantly, even when the users are not on your website. We rely on browser features: Pushpad uses the W3C Push API for Chrome, Firefox, Edge, Opera and other browsers, and the Apple Push Notification service for Safari. Pushpad works with all browsers (desktop & mobile) that support web push notifications. You can send web notifications manually from the dashboard. You can also automate notification sending with the REST API or using one of the libraries. We also offer a Zapier app for RSS feeds and other integrations. 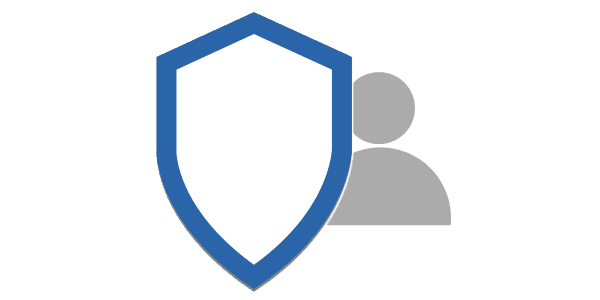 Safely authenticate your users with SSO and target users and groups instead of devices. Filter your audience with tags and expressions (AND, OR, NOT) and manage notification preferences for each device. You can reach all your subscribers or create custom segments. It's very simple and you can reach your audience in a few minutes, even if you have millions of users. 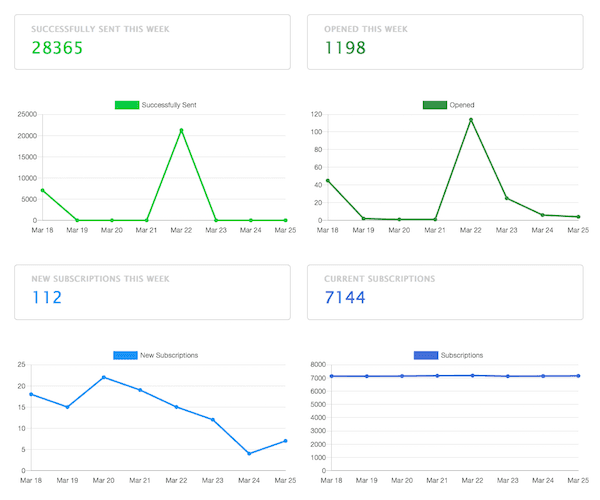 See how many people subscribe to your web notifications and monitor your project with aggregated stats. See the number of clicks and the delivery status for each notification. Tag the notifications to aggregate the stats in custom ways. Compare the CTR and other metrics for different groups of notifications. 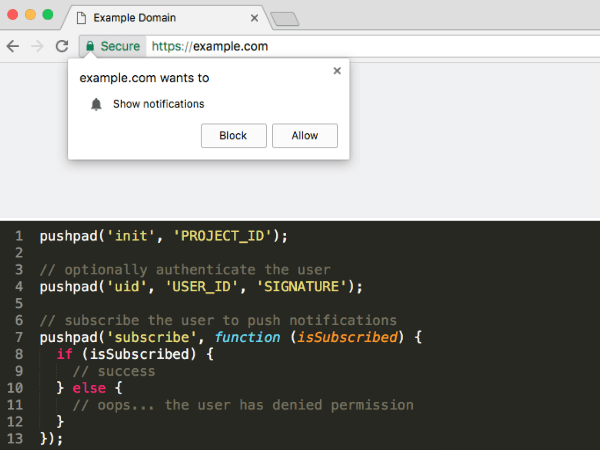 Send web notifications to Firebase, Mozilla autopush, Windows Push Notification Services and Apple Push Notification service with just one API. The libraries for web push are simple and opinionated. We have already made the hard choices for you. Pushpad automate the configuration of VAPID key pairs required for web push, simplify the management of subscriptions, automatically replace subscriptions with the new ones when they expire and removes the invalid subscriptions. You can send thousands of web push notifications per second and they get delivered in near real-time, without queues. We manage many kinds of exceptions and perform automatic retries to ensure the notification delivery. You can create scheduled notifications that will be sent at a given time in the future. We protect the privacy of your business and we don't resell data about your users. We are based in Europe. You can add members with limited access to your project. In this way you protect your data, while multiple authors can manage the notifications. 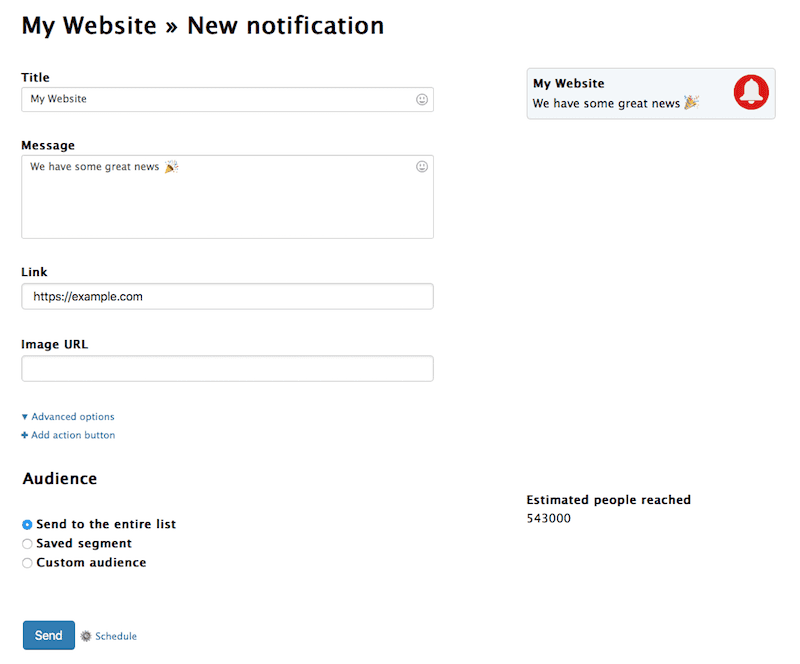 Web push notifications re-engage your users by notifying them when you publish something new. More than 9,000 developers have already signed up.